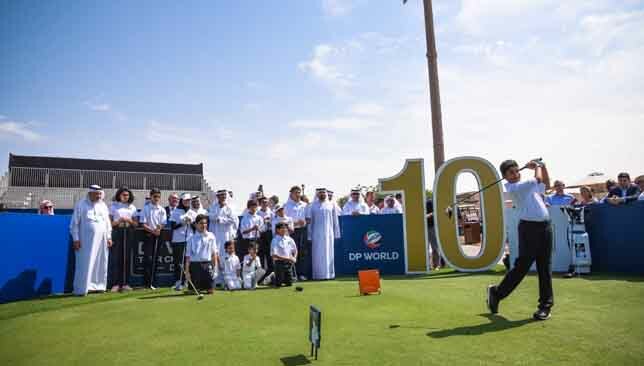 A superb 293-yard drive from right-handed golfer Stuart Pain was the highlight as Jumeirah Golf Estates marked one month to go until the DP World Tour Championship with a ceremonial tee shot on the Earth course on Monday. 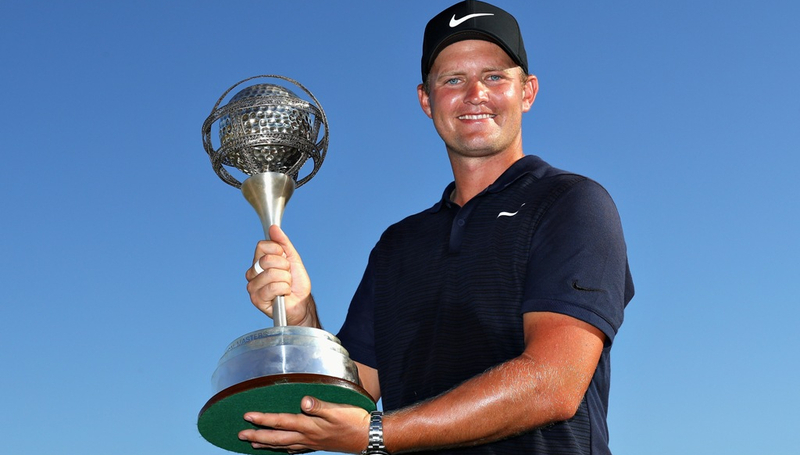 A total of US$8 million is up for grabs for the winner at the season-ending showpiece to crown the European Tour’s No 1 player following n gruelling year spanning 47 tournaments in 27 countries. To mark the official run in to the event, future stars from the Emirates Golf Federation’s National Junior Development Programme and other key stakeholders of the tournament were invited to hit tee shots at the famous opening hole. This will be the tenth year that Jumeirah Golf Estates will host the event and CEO Yousuf Kazim insists the venue is always striving to improve the tournament experience for visitors. “The DP World Tour Championship is the highlight of our annual calendar. Not only does it bring the biggest names in golf to our spectacular course, but it allows us to create an annual experience that brings the wider community in the UAE together,” said Kazim. Nick Tarratt, the European Tour’s Dubai-based director said excitement is building as they count down to one of Dubai’s most popular sporting events of the year. “We are extremely proud to be celebrating ten editions of the DP World Tour Championship,” said Tarratt. There are five events remaining on the 2018 European Tour calendar before the DP World Tour Championship, including the Valderrama Masters, HSBC Champions, Turkish Airlines Open and Nedbank Challenge. Englishman Eddie Pepperell won the British Masters on Sunday, which earned him 438,880 points and saw him move from 11th to seventh in the Race to Dubai rankings. Italy’s Francesco Molinari leads the way with 4,635,909 points, followed by England’s Tommy Fleetwood in second place on 3,291,967 points. The European Ryder Cup team sealed their sixth straight win on home soil with a resounding 17.5-10.5 triumph over Team USA and golf lovers in Dubai are set to see all 12 members of the European team in the Emirates next month. Thomas Bjorn’s team will feature, along with the iconic Ryder Cup trophy, when the European Tour’s season-ending DP World Tour Championship takes place at Jumeirah Golf Estates from November 15-18. Europe started the biennial tournament on the back foot having lost their opening three matches at Le Golf National on Friday before the dynamic duo of Francesco Molinari and Tommy Fleetwood put the first blue on the board with a 3&1 victory over Tiger Woods and Patrick Reed. The result gave Europe a real boost as they went on to whitewash the Americans in the afternoon foursomes session to take a 5-3 lead heading into the second day. Another dominant day for Europe saw them take five points from a possible eight on Saturday with the pairing of Molinari and Fleetwood proving pivotal once again as they became the first European duo in Ryder Cup history to win their opening four matches in group play. With a four point deficit to make up in the final day singles, the US got off to the perfect start after picking up 2.5 points in the opening three games thanks to Justin Thomas, Brooks Koepka and Webb Simpson. But defending DP World Tour Championship winner Jon Rahm got Europe their first full point with a 2&1 victory over Woods which started a surge of blue victories. 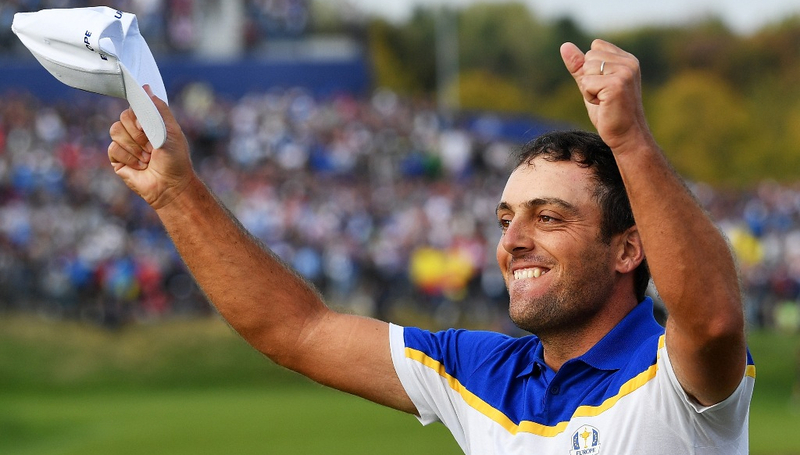 Six of the last eight matches all went the way of the home side which included Ryder Cup legend Ian Poulter defeating world No1 Dustin Johnson 2up, Thorbjorn Olesen thrashing Jordan Spieth 5&4 and Molinari sealing the winning point after becoming the first European to win five points in a single Ryder Cup with a 4&2 defeat of Phil Mickelson. 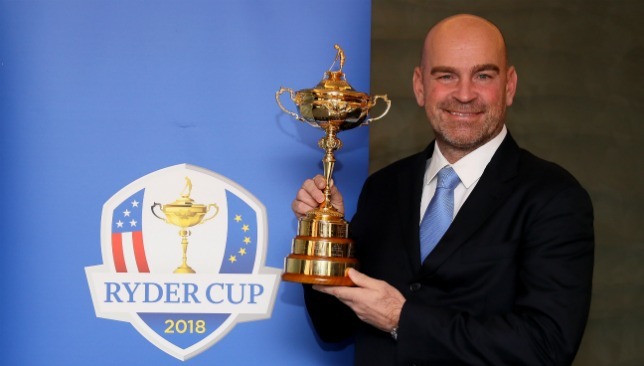 European Ryder Cup Captain Thomas Bjorn said: “I felt all along that this was a good group of guys, but I have to say, when we got here on Monday, we got together. “This turned out pretty exciting because the way that the 12 of them have just joined up together as a team and the way they looked after each other throughout the whole week made captaincy pretty easy. America’s Patrick Reed, who managed one point from a possible four, is also set to line up at the DP World Tour Championship with the Masters tournament champion currently sitting in second place on the Race to Dubai rankings. “We are so excited that all members of the victorious European Ryder Cup team will be coming to Dubai to play in the 2018 DP World Tour Championship,” said Nick Tarratt, Director European Tour International, Dubai Office. The team of Tommy Fleetwood and Francesco Molinari were electric over the weekend. “It was a special week for everyone in Paris and Dubai will be perhaps the first time the 12 will all be playing in the same tournament. “We will also welcome captain Thomas Bjorn to Dubai in other roles around the DP World Tour Championship so it will be a full house. We have also started discussions for the Ryder Cup trophy to be on display during the week. The DP World Tour Championship takes place at Jumeirah Golf Estates from Thursday to Sunday, November 15-18. Tom Lewis took a giant step towards a maiden DP World Tour Championship appearance. England’s Tom Lewis took a giant step towards a maiden DP World Tour Championship appearance after a three-stroke victory over Australian Lucas Herbert and England’s Eddie Pepperell at the Portugal Masters. It earned him his first European Tour win since he won the same tournament in 2011. Lewis, who secures a two-year exemption on the European Tour with the win, had been in 12th place on the European Challenge Tour’s Road to Ras Al Khaimah rankings coming into the tournament. But the 27-year-old gained a promotion to the main tour after the biggest 54 hole comeback of the season. Having finished the first round one over par, Lewis carded a second round 63 before a breathtaking 61 on day three moved him to within two heading into the final round. Lewis once again turned on the style on an enthralling final day as he shot 66 to finish two clear of the chasing pack at Dom Pedro Victoria Golf Course. With the win, Lewis surges from 163rd to 62nd in the European Tour’s Race to Dubai rankings and is in with a great chance of gaining qualification for the DP World Tour Championship, open only to the top 60 ranked players. “It’s unbelievable. I’m so happy, it’s been a rough ride but this week I played hard,” said the 2011 Open Championship silver medalist. As well as making significant strides in the Race to Dubai, Lewis has also jumped up to 109th in the official world golf rankings after starting the year in 394th. “It’s great to see Tom back in the winner’s circle,” said Nick Tarratt, Director, European Tour International Dubai Office. “Tom’s been playing a lot of golf on the Challenge Tour this year and it’s really given him a lot of confidence which you can see in his recent performances. After winning the Bridgestone Challenge he has come to Portugal and won on the main Tour so we are delighted for him. Meanwhile, Herbert’s tied second-place finish also moved him to the brink of the Race to Dubai’s top 60. After picking up 201,937 points he moves from 103rd to 64th. The top three remains unchanged with Italy’s Francesco Molinari leading the way, American Patrick Reed in second and reigning Race to Dubai champion, England’s Tommy Fleetwood, in third.